It’s been a while. It also seems appropriate to explain my absence with a tribute to my Dad. Last June (Father’s Day weekend to be exact), my Dad was diagnosed with Stage IV lung cancer that had already moved to his brain. It was a shocking revelation given the fact that he had been seeing a cancer doctor for an entire year before the diagnosis to try and figure out why his platelets were so low. Nonetheless, there we were. Daddy spent the next 8 months fighting. He did two weeks of daily radiation and many rounds of chemo. Even though we knew the eventual outcome given the severity of the diagnosis, we still believed in the fight. I didn’t even write or talk about it here because I wanted to save up positive energy and keep that positivity moving. I woke up every single day for 8 months wondering how his night went. I called him every single day at 3:30 to see how chemo or the rest of his day went. Towards the end, I went home every weekend to see him so we could be together, he could visit with with my 2-year-old son, and share the precious moments we had left. We never talked about the end. It wasn’t his style. Nonetheless, I always knew it was coming and it haunted me every day. I guess I didn’t understand how much the last 8 months have affected me. It has been an extremely tough road to watch someone you love die of cancer. As an only child, I wasn’t really prepared for the many emotions that came with it. Daddy passed on Thursday, February 6, 2014. I still haven’t wrapped my head around that fact yet. You’d think I would have by now, but I really haven’t. There’s a relief that comes– a relief that you no longer have to wait to hear or see how bad of a day he is going to have. There’s a relief in knowing that my Stepmother– who took the best care of my Dad until the very last moment– can find some rest and peace with time. There’s a relief in knowing that he isn’t suffering anymore. There’s also an unexplainable sadness and confusion that comes with the process of dying. Especially from cancer. It makes you think about every single moment very differently and it forces you to reconcile some of your own strengths and weaknesses as you travel along that journey. I don’t know what it is going to be like tomorrow when I can’t call him to wish him Happy Birthday. I don’t know how I’m going to feel in two weeks when I am still reaching for the phone to call him every afternoon. I don’t know how I will respond in a year when Martin Everitt talks about missing his “Crazy Popa.” I don’t know how I am going to feel when I desperately want to hear his voice again. I guess you just have to take it day by day. Some days are much harder than others it seems. Daddy never lived by any rules — for better or for worse. In many ways, he taught me to embrace my individuality. At my Dad’s funeral, many folks shared stories about him — some I can mention here and others we definitely could not. He was so funny. You never knew if he was ever telling the truth. He lived to embarrass me whenever possible. Daddy and I had our own understanding of each other. We had our own memories that only he and I share and I guess that’s what feels so strange now– that I’ve lost the one person who knows them and who can finish the stories for me if I forget a name or a place that goes with it. 1) My parents divorced when I was three years old. Daddy had me every other weekend. All I remember is Hamburger Helper — the beef/potato kind. Sometimes that same pan would be in the sink when I visited two weeks later. Cracked me up. But let’s be clear: I loved that Hamburger Helper and those dinners spent with him. 2) As you can imagine, Daddy also liked to cut some corners when it came to food. 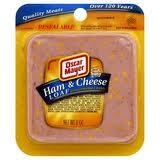 I’d get to his house to find the ham with the cheese already in it. 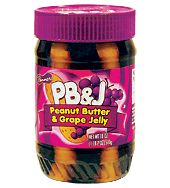 Or the peanut butter and jelly were already swirled together. 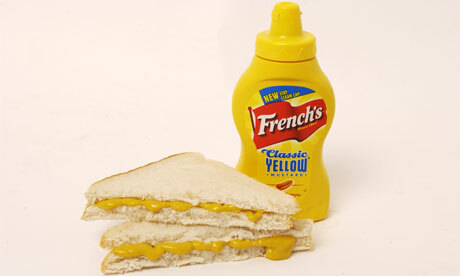 Sometimes I’d have a mustard sandwich (white bread + mustard). Let’s face it: Daddy wasn’t a big grocery shopper back in the day. We shared many laughs about his culinary abilities in the early days. Okay, Okay… I might have criticized (whined) about it back in the day, but it is funny and endearing now. 3) One Thanksgiving, my Dad started thinking about hush puppies and got this crazy idea that we should try to make “dressing balls.” Huh? Yeah, that’s what I said too. He had had a few grown up beverages by then and basically pitched the idea that EVERYONE loves cornbread dressing, so why not fry it up in little hushpuppy-like balls? Daddy and I sat at the fryer all afternoon sampling and trying new ways to get the batter to work (less/more flour, etc). I’ve never been so sick in all of my life after eating all of that fried food, BUT…it was hysterical and believe you me, those dressing balls were delicious. They were so delicious, I even pitched them to Southern Living Magazine (I worked there at the time). Not sure what happened there, but the “adult beverage” part might have made the story more difficult to tell. 4) One of my favorite memories is my Dad cooking me a big ‘ol vat of boiled peanuts whenever I’d visit. Those will always be my very favorite peanuts and on my top 5 list of favorite foods. I’m going to miss eating them with him as we walked the yard and threw the shells out on his gravel driveway. It was our thing. There are so many other memories like Daddy’s grits, Barq’s Root Beer, Foy’s BBQ sauce, his hamburgers, baked vidalia onions, hot dogs from the Pool Room (that’s another story for another time), and the fact that Daddy and I could take down a meal in 5 minutes or less. These are the memories I’ll cherish, but these are also the experiences I’m going to miss to my core. Daddy and I were a lot alike (in some ways) and VERY different in other ways. As much as we’d pretend that we were mostly unalike, I think it’s the ways we identified with one another that we loved the most. I’m overwhelmed at the outpouring of love my friends and family have shown me: homemade meals, cards, flowers, emails, texts, phone calls, and thoughtful gestures. We’ve been flooded with deli trays, fried chicken, soups, and pound cakes. In fact, now that I think about it…every single time I’d see my Dad over the last few months, I’d ask him if he was hungry. It drove him crazy, but it was the only thing I could think of to make him feel better. And me? Well, my emotions have been finding their way through bags of potato chips (don’t worry– I gave myself a deadline and haven’t touched one since). Food has definitely played an important role through this process — it has nourished, comforted, and provided an escape at times. When I was younger I would spend the night with my Grandmama (my Dad’s mother). She died when I was 12 years old, but I distinctly remember her cooking throughout the day. As she cooked, she would hum or whistle. One day, I asked her why she hummed so much and she said it was to keep her from being sad when she remembered my Grandaddy after he passed. That memory has always stuck with me through the years. I reckon that’s what I can do when I start missing my Daddy. I’ll just hum like she did while I cook. Wow Amanda! I have tears running down my face again……you said it so well. You & your daddy had an awesome life & bond. His face would light up when he spoke of you. He was so proud of you always. That love & bond is part of you. It’s who you are as a person, wife, mother & friend…….it never leaves you. It’s with you everyday the rest of your life. Beautifully written, solidly felt. Thanks for the cry. I so, so know what you mean. I send you peace.